On the evening of 23rd March 2012, I was invited to an evening of great fun, food and pampering, fitting of a leisure relaxing holiday trip overseas, the host was AsiaRooms.com and it was held at the Klapsons Hotel, a beautiful boutique hotel in the Central Business District of Singapore. While we ate, enjoyed, relaxed and being pampered, this was a great and fun time to catch up with friends from the social media circle, friendly hosts from AsiaRooms.com and PR folks from XPR. 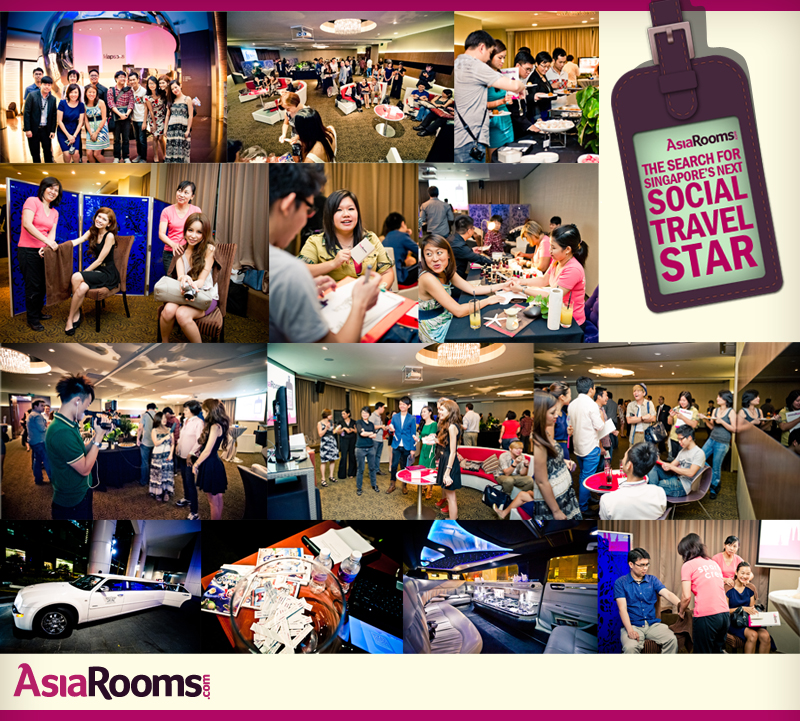 This event was also AsiaRooms launch of their Search for Singapore’s Next Social Travel Star! Do you love to travel ? Are you active on the various social media channels ? How would you like the idea of YOU, being Singapore’s Next Social Travel Star ? Look no further, there is something great coming up for you, the social media savvy active traveler!! AsiaRooms.com, a leading accommodation site, has launched a competition to look for Singapore’s next social travel stars – a pair of travel hosts – who will travel and review twelve unique hotels across four countries!! You might be asking, what do I need to do to be Singapore’s next social travel stars ? Here’s a short video to tell you more ! Here’s some quick notes for you readers ! – Winners of the competition will debut on AsiaRooms.com’s brand new YouTube channel with their very own series of room review videos. They also get to win up to $10,000 worth of cash and prizes. For more information and updates, do visit Asia Rooms on their Facebook!! With my original background in the tourism, travel, hospitality, leisure and recreation industries, I am still in touch with these industries and armed with the power and outreach of social media networks, platforms and channels. The role and honour of being Singapore’s Next Social Travel Star is going to be an exciting and fun adventure of travel and holidays, just like being a travel host on travel channels! I look forward to YOU, being the next Singapore’s Social Travel Star ! 2 more nights to visit i Light Marina Bay 2012!